These gorgeous bath towels are business in the front and party in the back. Business: the quick-drying, ultra-absorbent front is made from a luscious and tactile blend of organic cotton and flax linen woven in a subtle tone-on herringbone pattern in the Japanese style. Party: the back is crafted from delicately looped, super soft organic cotton terry pile for maximum fluffiness/functionality. Folds up small, looks great in any bathroom, makes a (really) good gift. 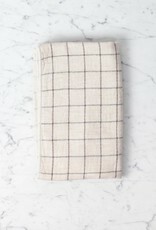 Note: We originally picked these up for traveling—their small folded footprint, quick-drying prowess, and multi-functionality (ideal as an impromptu picnic blanket, for fending off chilly breezes, and for toweling off after roadtrip dips) make them the ideal travel towel—but we quickly realized that they were elegant enough to star in our home linen closets as well. 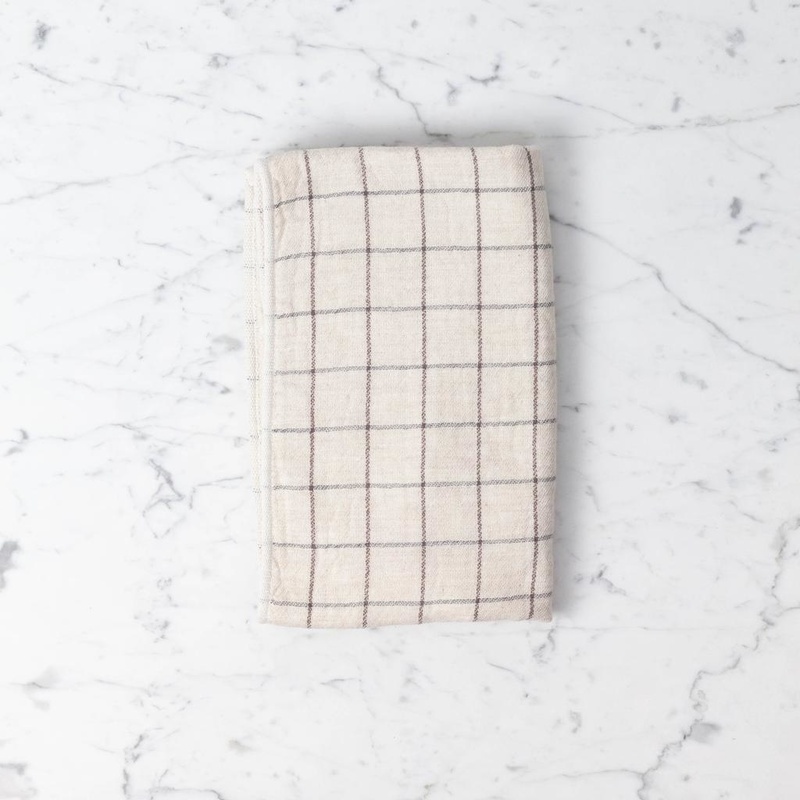 Take Care: Just like all linens and most cheeses, these towels get better with age. Go ahead and toss 'em in the washer and the dryer, it'll only make them fluffier and softer.